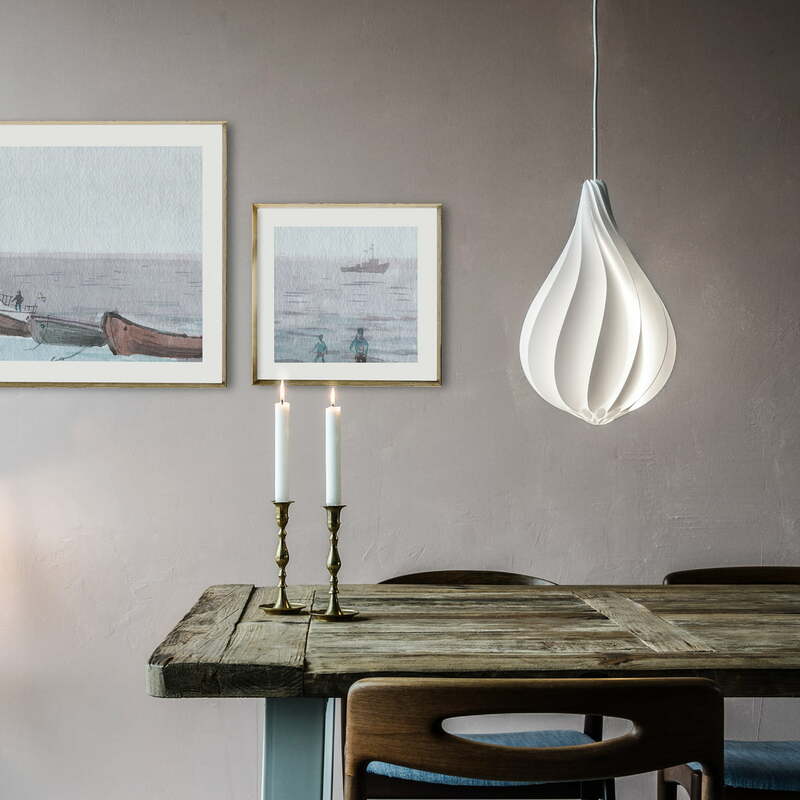 The Alva lamp shade by Umage serves to cover a pendant light bulb. The fluted design that runs down like a drop of water is a real eye-catcher in the kitchen, in the hallway, in the living room, bedroom or dining room. 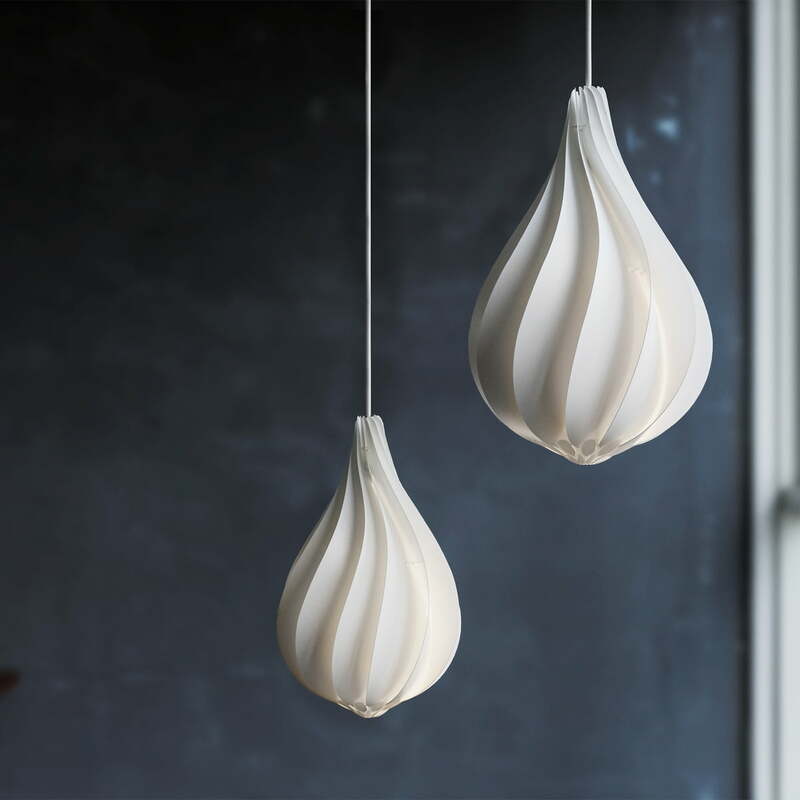 The plastic lampshade was designed by Lorenzo Radaelli. Since the Alva lamp shade is available in two different sizes, the small format can be combined perfectly with the larger version! Lampshades by Umage at different heights. 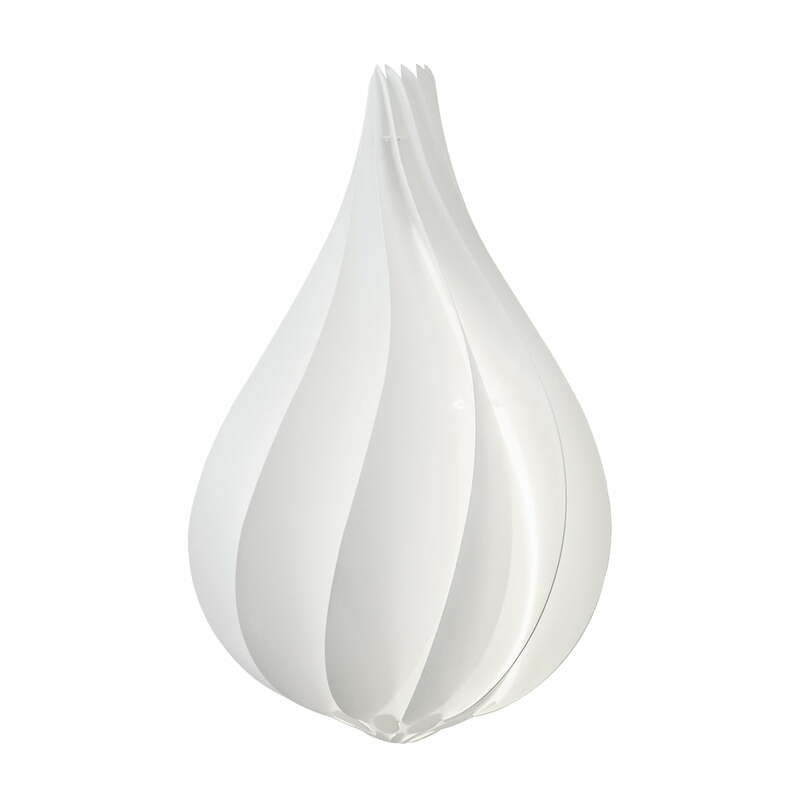 The Alva lampshade in medium is especially well combined with another version in your living room. One lamp can hang lower over the coffee table than the other. 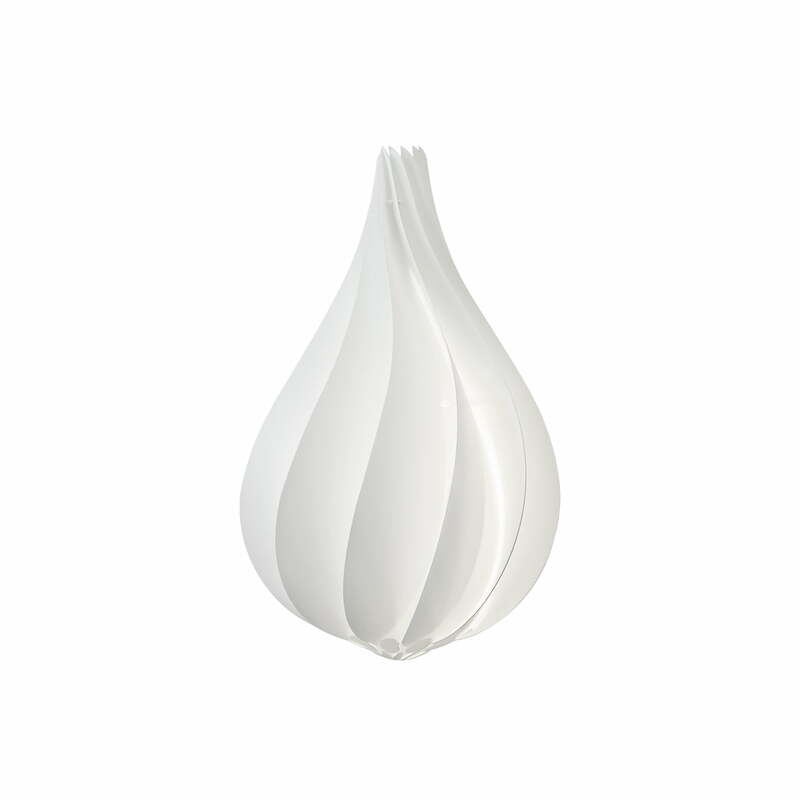 Thanks to its drop-like shape, the Alva lamp shade by Umage is a modern and original design object for the dining room. The elegant lamp shade fits in with any decor. 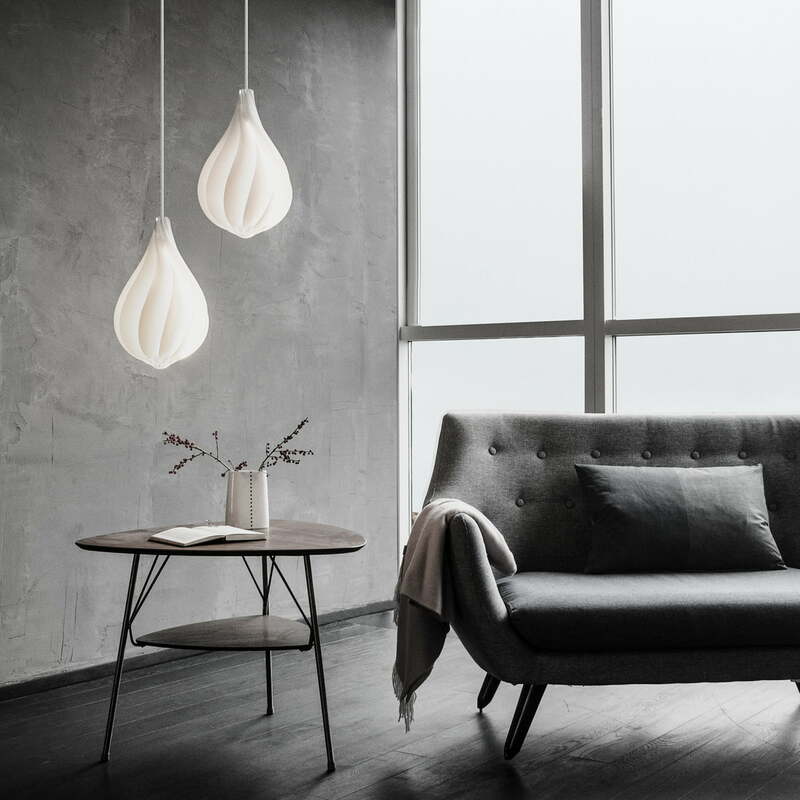 The Alva lampshade produced by Umage is an elegant, white cover for pendant lamps, that looks exceptionally classy with a dark background. The mini and medium format look great together. 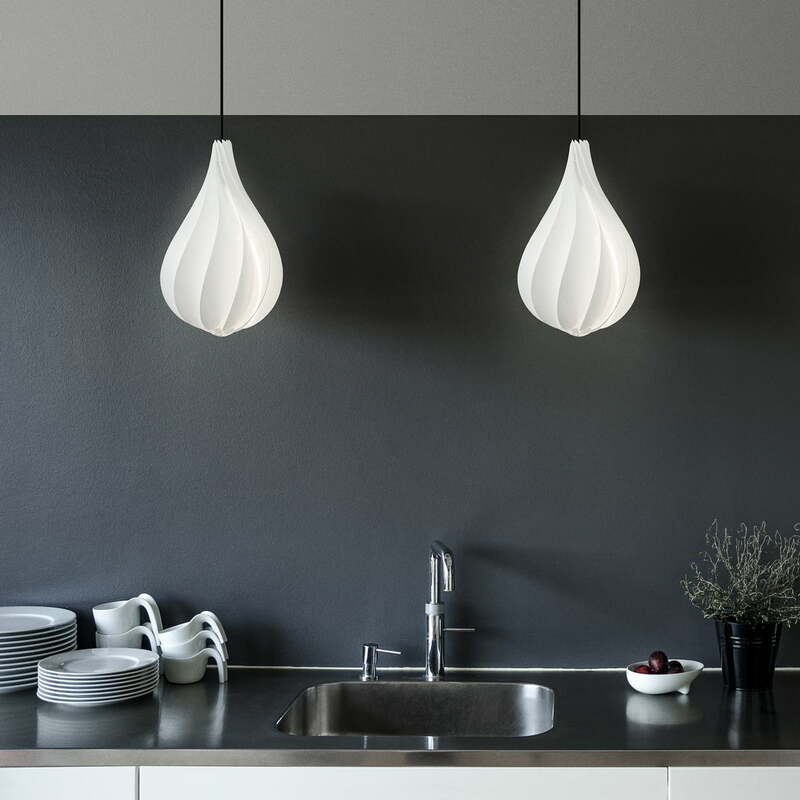 The lamp shade by Umage makes your kitchen into a modern living space. Especially in front of a dark wall, the two mini-lampshades have a beautiful effect when hung at the same height.